measurement response and process control. There are more temperature controlled operations than any of us could count in a lifetime, each with a set of signature performance requirements and design challenges. 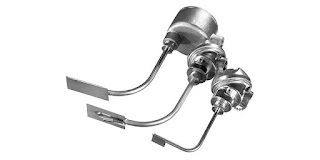 Matching the means of temperature measurement, the control loop characteristics, and heat delivery method to the application are essential to achieving successful operation. Step one is to measure the process temperature. This sounds simple until you start researching products and technologies for measuring temperature. Like the temperature controlled operations mentioned previously, they are numerous. To filter the possible candidates for temperature sensing devices, consider these aspects of your application and how well a particular sensor may fulfill your requirement. Response Time - How rapidly the sensor will detect a change in process temperature is a function of how the sensor is constructed and how it is installed. Most temperature sensors are enclosed or encapsulated to provide protection for the somewhat vulnerable sensing element. Greater mass surrounding the sensing element, or a shape that inhibits heat transfer from the process to the sensor, will slow sensor response. Whether the slower response time will adversely impact process operation needs to be considered. More consideration is due to the manner in which the temperature sensor assembly is installed. Not all applications involve a fluid in which the sensor assembly can be conveniently immersed, and even these applications benefit from careful sensor placement. Take a simple application as an illustration. Heat tracing of piping systems is a common function throughout commercial and industrial settings experiencing periods of cold weather. Electric heat trace installations benefit from having some sort of control over the energy input. This control prevents excessive heating of the piping or applying heat when none is required, a substantial energy saving effort. A temperature sensor can be installed beneath the piping's insulation layer, strapped to the pipe outer surface. A specially designed sensor assembly can improve the performance of the sensor and the entire heat trace control system by enhancing the response time of the temperature sensor. A right angled sheath permits insertion of the sensor beneath the piping insulation while orienting the connection head upright. A surface pad at the tip of the sheath increases the surface contact with the pipe to provide faster sensor response. The surface pad is a metal fixture welded to the sensing end of the temperature sensor assembly. It can be flat, for surface temperature measurements, or angled for installation on a curved surface, like a pipe. The increased surface contact achieved with the surface pad promotes the conduction of heat to the sensor element from the heated pipe in our illustration. This serves to reduce and improve the response time of the sensor. Adding some thermally conductive paste between the pad and the pipe surface can further enhance the performance. While the illustration is simple, the concepts apply across a broad range of potential applications that do not allow immersion of the temperature assembly in a fluid. Special RTD Temperature Sensor Configuration for Heat Trace Applications from Miller Energy, Inc.